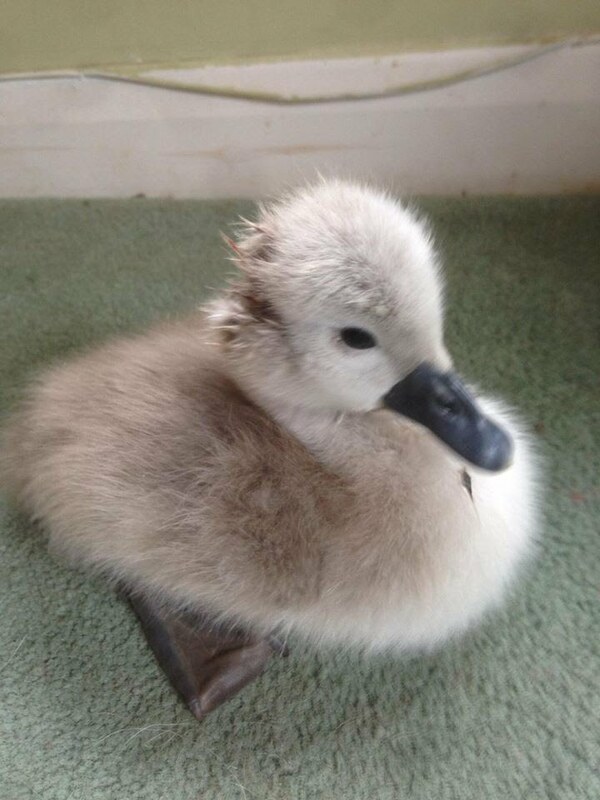 One weekend in the summer we had a call form a local vet about a cygnet that had been hit by a car and had a hole in its head and was there anything we could do. When we collected it, it didnt look good, it could hardly hold its head up, it was completely shocked. So we medicated it straight away and cleaned the would. It looked awful, but we had to try. We settled him for night thinking it wouldn't be with us the next morning. But to our delight it was bright and peeping at us. We managed to get it to eat some chick crumb, kept the wound clean, gave antibiotic cover and as the days went by the wound healed better than we expected. the only worrying thing was his /her balance wasnt good and occasionally he/she would fall over and not be able to get up again. then we had a lone duckling in and they became best of friends, inseparable in fact. the time came when we needed to find somewhere for the cygnet to go pre-release and luckily the swan sanctuary at Egham were happy to take both of them as they were so devoted to each other.